Not only do we teach the Biblical principle of tithing to our congregation, but we also try to practice this principle as a church. That’s why we allocate 10% of our annual budget to missions. One of our deacons is charged with the responsibility of overseeing our missions team (comprised of volunteers within the church). They make recommendations to the elders as to what mission works will be supported and how much should be given to each. Contact John Sims if you would be interested in being involved with our missions team. We think of missions in terms of what we are doing locally, regionally, and throughout the world. Here are some of the mission works we are currently supporting. Mercer Resource Ministry – We are a part of a local cooperative effort among community churches to assist those in need in Harrodsburg / Mercer County. We seek to not only provide money, but also equip those we help with the knowledge and assistance they need to improve their position in life. The Christian Life Center – Our local food and commodities distribution center that assists those struggling financially. No Walls Ministry – This is an outdoor street ministry that we do monthly (spring – fall) in the Harrodsburg Housing Authority area. We offer a meal, give away commodities, and have a gospel service where we preach the gospel and pray with folks who have needs. The Refuge – This is a small group ministry that we do in conjunction with our No Walls Ministry. We offer a meal, prayer support, Biblical teaching, and Christian friendship / mentoring. Camp Calvary – This is a church camp in Washington County where we send students. 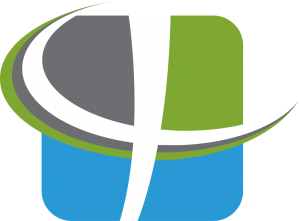 Church planting organizations – We support 3 organizations that plant Independent Christian churches throughout Kentucky. Shoe-box ministry for Eastern Kentucky – Each year at Christmas, our folks pack shoe boxes with gifts for children in Eastern Kentucky. Christian Student Fellowship at the University of Kentucky – On-campus ministry that ministers to students at our state’s largest university. Guatemala – We work through Catalyst Resources International to support David and Paula Greene as missionaries in Guatemala. They operate an orphanage called “Mimi’s House” and also work in the impoverished rural areas on the mountains to share the gospel with the love of Jesus. We contribute financial support, but also send teams on short-term mission trips periodically.